Stewart is a world-class worrier who forsakes his wife and career for a simpler existence. He falls further and further down the rungs of life, until he ends up in a tent city run by a vengeful psychopath called Scrap-Iron who prides himself on being a manipulator of men and a connoisseur of sin. Scrap-Iron is a skilled puppet-master and the men living in his camp will do anything to maintain their standing. Soon, Stewart finds himself doing things he never would have imagined in his previous life, until Scrap-Iron plunges him into a desperate struggle for his body and soul. 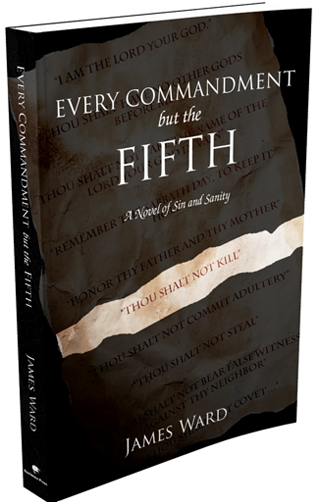 Every Commandment but The Fifth is a dazzling and disturbing thriller about the danger of making fantasy reality. © 2016 Company. All Rights reserved.